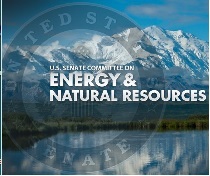 WASHINGTON, DC – (RealEstateRama) — U.S. Sen. Lisa Murkowski, R-Alaska, today chaired a hearing to examine the western water outlook for 2018 and three bills to upgrade water infrastructure, management, and storage systems to ensure our communities have access to clean, reliable water supplies. “For over a decade, the West has suffered through drought conditions. Changing climate conditions and weather patterns appear to be making matters worse,” Murkowski said. “There’s no question that we need to overhaul and modernize America’s infrastructure. Drought resiliency is simply not possible with insufficient and aging water systems that do not function properly. We understand this in Alaska. Water scarcity is felt by communities that have plenty of water, whether it’s Wrangell or Metlakatla, but without the necessary infrastructure to capture and transport it, you’re stuck. S.2563, the Water Supply Infrastructure and Drought Resilience Act of 2018. Murkowski is chairman of the Senate Committee on Energy and Natural Resources. An archived video and testimony from today’s hearing are available on the committee’s website. Click here and here for Murkowski’s questions for witnesses.